Incidentally conceived in China, raised in Singapore, Wayne Wang-Jie Lim is an art practitioner working and living in Amsterdam. 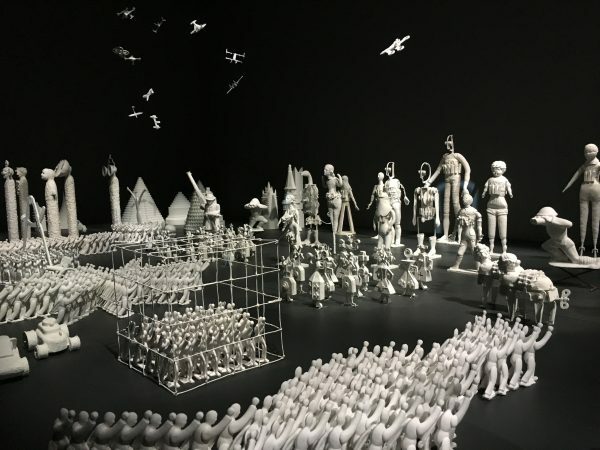 Since 2009, he had exhibited and presented in shows at various venues, from the Institute of Contemporary Arts Singapore (ICAS), Centre for Contemporary Art Singapore (CCA), to the Singapore Art Museum. He was awarded the Winston Oh Travel Research Award in 2013 for a research in Hong Kong, a writer-in-residence at maumau Art Space in Istanbul, Turkey in 2015 and most recently part of a research-residency project co-funded by the Creative Europe Program of the EU, called “Understanding Territoriality” at Cittadellarte-Fondazione Pistoletto in Biella, Italy. He is currently pursuing his MA at the Dutch Art Institute as a recipient of the Non-EU scholarship grant from ArtEZ Institute of the Arts. 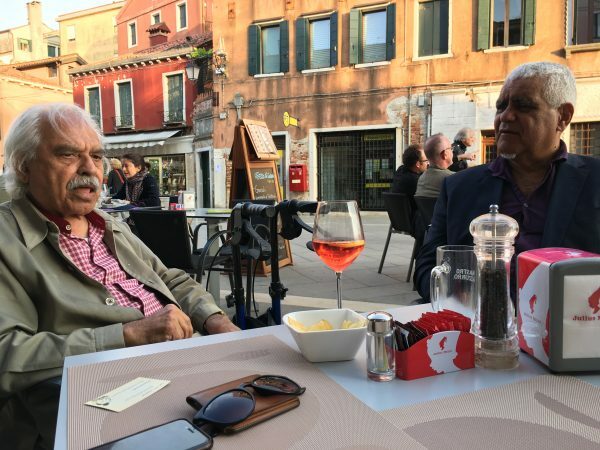 His current inquiry focuses on geopolitics, language, philosophy and history in relation to art and hence, experiments with formats that are not the conventional, such as, travelogues, thinking and the writerly. During his BA studies, Wayne was drafted into the army for mandatory military service that brought a two-year halt to his “practice” — he practically made/produced nothing, and participated in a few minor exhibitions for which he only showed old works he had done in school. Instead, he read a lot, and in retrospect, “prepared” for his final year after his obligatory service ended. This was the first time he questioned what an “artistic practice” meant. When he returned to finish his degree, he could no longer make art in the way he used to, and his production shifted to a focus on researching and writing, making strategic plans on practicing at the fringe of what can be called “art” before spending only a short couple months at actually producing the “artworks”. 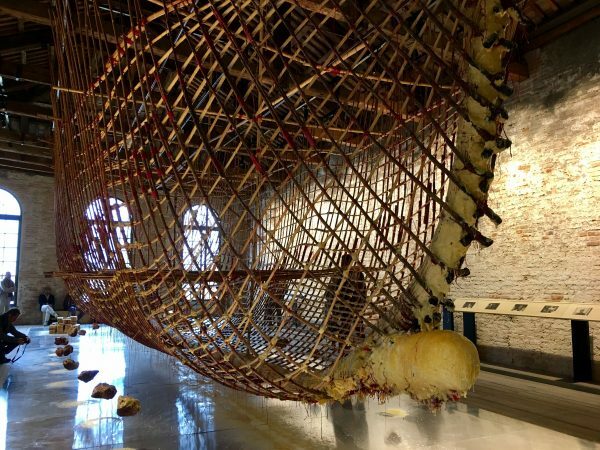 Though a national arts body has funded his projects and exhibitions, he is not recognized officially as an artist under the institutions’ national framework of what constitutes artistic practice. This simultaneously “insider / outsider” state has further led him to his current research. As Wayne begins his hiatus, he will also be working towards his graduate degree, where his thesis-research explores the notion of “non-position/location”. He feels that this timing will prompt him to really ask himself how he could “nourish” himself and re-strategize his artistic practice in order to benefit from the artworld’s infrastructure/institutions but not be subsumed into the wider agenda of neoliberalism and nationalistic rhetoric as a contemporary art producer or a cultural and knowledge producer. He hopes to investigate alternative modes of art production with an ultimate goal of infiltrating the arts market from the peripherals while being completely non-positional and ambiguous. Or practically, what he has to do in order to survive as an artist in a way that will also afford him a comfortable living -- and not like a "poor artist". During his residency at RFAOH, he primarily wants to spend time on brooding over the function of his “art” and his “practice”. He plans to use the stipend “for nourishment” by purchasing books and organizing a reading group, putting food on his table, paying for his website domain, buying a hashtag on his Instagram account, paying an exorbitant amount for a VIP ticket to an art fair to look at art-for-sale, etc. He also plans to routinely write and perhaps finally learn how to use Instagram to “market” his non-art/borderline art activities. What do I think about when I don't think? As I round up my last few beautiful days in the outskirts of Seoul before I have to head off to Beijing to reunite with my family for a well-deserved vacation, a defiant North Korean missile was fired at 6am this morning, and it landed in the sea not far from Hokkaido, Japan. While the US is conducting its 'regular’ — often unapologetic — military exercise with the South Koreans military, I am sitting here opening, closing, and reopening this report, contemplating — or even procrastinating — about I can possibly write. “What am I doing here?”, is a question I routinely pose myself. I now wonder if my relentless pursuit of the never-ending “here’s” is perhaps too disruptive. In the same vein, I can’t seem to know where I want to be; except knowing where I do not want to be. It’s an excuse I sometimes use to cover up my escapism. On a different note, while noting the political context of the Korean Peninsula (or the nature of conflicts), I have been rethinking the difference between presence and occupation. It questions not just the essentialism of identity and place — if not nationalism, and the rhetorics of the nationstate — how else and what other ways to justify the existence of being/the conception of statehood. Where is the “inside” and/or the “outside”? A year ago, I applied mainly with the intention to understand my own practice, and perhaps to find a “direction in my life”, in regards to being simultaneously, an "insider" and an "outsider" of where I come from. 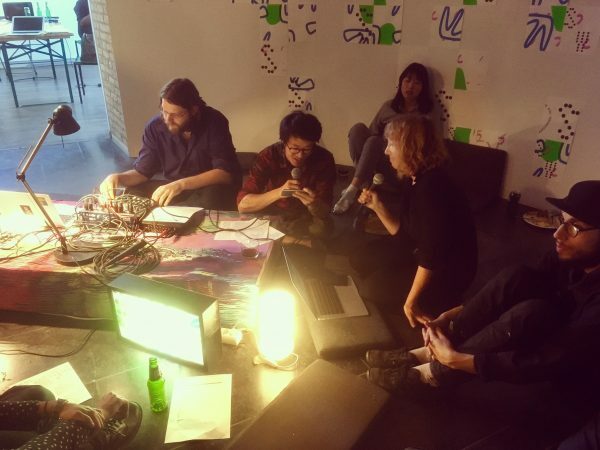 The combination of my trajectory at the Dutch Art Institute and RFAOH have certainly pushed my practice into a more theoretical, and political direction/place. With that in mind, it is, therefore, important to think, and employ strategies that bring about higher agency in one's (artistic) practice. Although my initial research premise relating to my thesis have changed — from a "non-position/location" to the "hyperrestrained order" — it nevertheless helped me to understand better my position or role (and even the escapism), and my relationship with the state (Singapore), that changes from being a citizen, a soldier, to an "artist" (as an occupation). I have seen this process as a crucial development — as a theoretical inquiry, and the understanding of the previous — in relation to my art practice. During my hiatus, I have learnt to bring research-traveling-writing to the forefront of my practice — not entirely inclined to the notion of producing artworks as the 'only' way of art-making. Ironically, I believe this journey — of art and life — will/can never truly be on a “hiatus”. If one is practicing life (thinking about Tehching Hsieh's talk), can we say or consider art as the medium of life, while life never stops, and art nourishes life? The “here” now is post-hiatus. I am excited about what Beijing can I offer me, as well as what I can learn from this potential move. “Post-hiatus” is, so to speak, actually getting over an ex-lover, and confronting some fears I had the past couple years; anxieties and insecurities, where I don’t just ask myself the purpose of my existence at a physical location. It is about living through it, making decisions even if I won’t be liking it, whether its on life, art or love. Hello from Eindhoven on behalf of Southern Wave, Van Abbemuseum and the DAI! I just delivered a piece Leaving/Living the Netherlands in Dutch, in collaboration with Mirjam Linschooten, my colleague from the DAI. The text is a shorten text of the speech “Be normal or Be Gone”, made by Mark Rutte, the Dutch PM. During our first Southern Wave broadcast in Mexico City, I read a really long text by Walter Mignolo in Spanish, which is a language I do not speak — reflecting on my time and experience there — where I realized that it was the first time I was expected to speak a foreign language. As an English speaker, I always assume how people should speak English. It is my final month in the Netherlands after living here for a year and a half, I realized that I was also never really expected to learn Dutch. I suppose, this time I am also really reflecting on my time and experience having lived in the Netherlands. And if you’re free, please tune in to Southern Wave Radio! Oh Venice! It’s been wonderful! It’s been a pleasure — only art and pleasure. This is a trip very much needed. Besides the fact that I do need a short break from my thesis, it was nice to meet and talk to people at the Venice Biennale. More importantly, to find some kind of inspiration for my final presentation at the DAI. 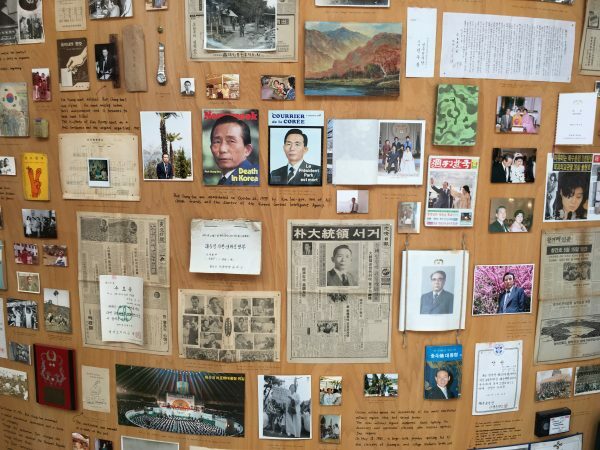 Well, I am not going to delve into details of the pavilions since this is ultimately not a reportage but Tehching Hsieh’s works at the Taiwanese pavilion did trigger some form and ideas. Still processing the fact that I got to see Tehching in person within a few days after reading about his works. And of course, the fact that he is the advisor of RFAOH now makes loads of sense. I wanted to write about how I thought and relate to his work in my last post but I think I am better equipped to do that now than before. Zai Kuning’s works at Singapore pavilion. One Year Performance by Tehching Hsieh, Taiwanese pavilion. Grisha Bruskin’s work for the Russian pavilion! Korean pavilion by Cody Choi at Giardini. 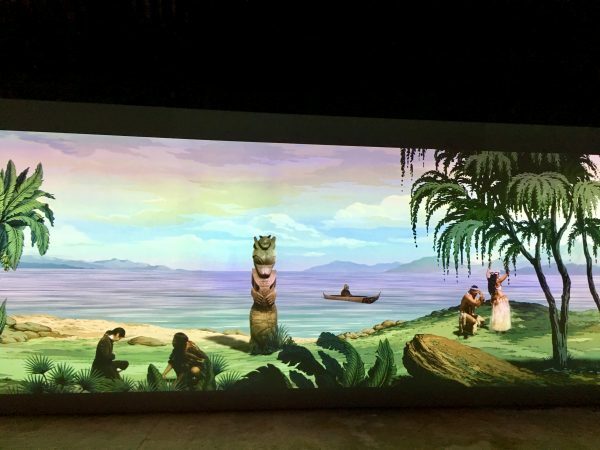 Lisa Reihana’s work for the New Zealand pavilion at the Arsenale. 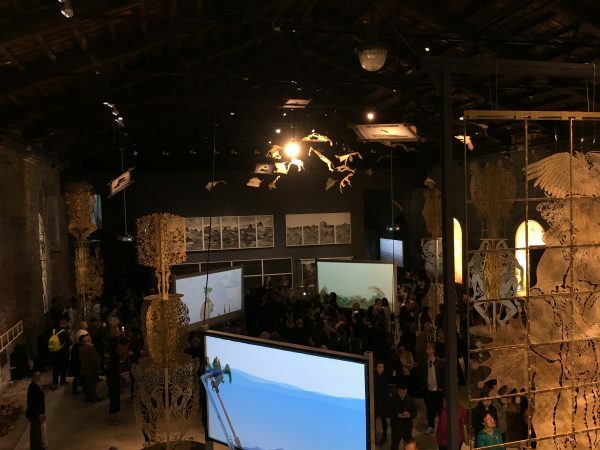 A performance happening inside the Chinese pavilion at the Arsenale. Hsieh’s dedication and discipline to his work are extremely admirable. At his talk, Doing Time, Marina Abramovich made a comparison of his works being polemic to Damien Hirst’s. Some critics have pointed out that his military experience has been a significant factor in his durational performances or what Hsieh himself called, “secondary art”. However, I am looking for a different kind of directive. Considering my history and background, I wonder what kind of authority do/can I have as a citizen (or an artist) to question state formation. What would it mean if I were to serve my supposed jail sentence? My recent retrospective inquiry — and conversations with Rebecca — clearly shows that I’ve been rather “jailed” or soft-traumatized by the different state apparatuses. 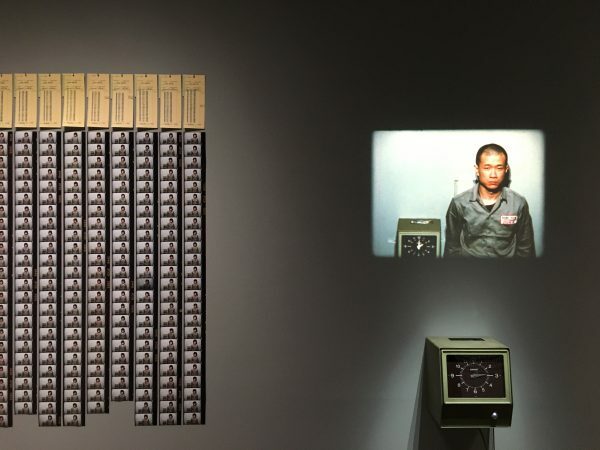 I recorded the second half of Doing Time, Tehching Hsieh’s artist talk in Venice. The recording is almost an hour long I think. I fear to produce works because the works I want to produce often question the state. I fear these works will not garner a return. I fear for the risks I have to take. The thought of appearing in court again or to be held in a cell again is stopping me from speaking. And by speaking, I mean making art/works. However, is exposing the state apparatuses and state formation what I am seeking for? Perhaps not explicitly. I do want to be able to speak or reflect on the current conditions faced in Singapore and elsewhere. I do want to be able to imagine what is beyond the nationstate project. I am an overseas-born Singaporean, who was at some point almost stateless while submitting two years of my body and youth to the state due to mandatory military conscription aka National Service (NS). Pondering more and more about the codes I embody, I am also increasingly conscious about what I could potentially perform for the state in order to guarantee my existence and citizenship. Putting the two situations together — both in confinement — I seek to understand the limits of freedom. Are we really free? How does displacement (Arendt’s idea of displacement) reveals one’s location? The contract of citizenship is ultimately a binary of betrayal and loyalty (to the state). I was going to write a post about the negation of the role of the artist last week. However, after Tehching’s talk two days ago, I am more encouraged now to take the risks involved in negation, alienation or exile. I wonder how do we go beyond the limit that we constantly and so readily accept? 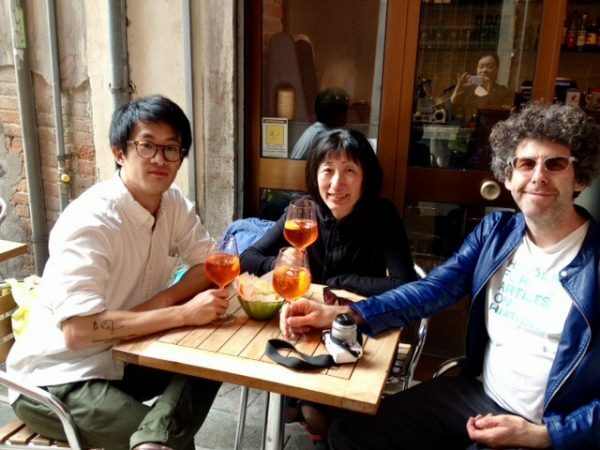 While speaking to Shinobu and Matt in Venice about artmaking and my thought processes, I have admitted that I am indeed looking forward to make art again. As a matter of fact, RFAOH had assisted that artmaking process very much. I entered the DAI feeling that I often lack form in artmaking and this further prevented me from making anything at all. However, the bigger reasons were those I highlighted in Part One. I hope I can (re)frame this question as my final presentation at the DAI in one way or another. On another note, it was super nice to bump into Rasheed Araeen and Richard Bell. I’d love to write more but I am beat from the heat and the trip. My sinus seems to have returned because of the heat too and I can feel the strain and aches from all the walking the past few days! Tomorrow is thesis day! No excuse!